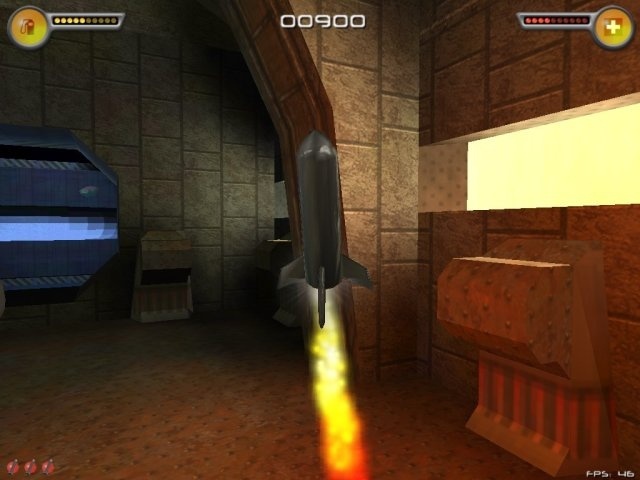 The game is supposed to be a 3D version of the good old gravity/thrust based games which have been around more or less since the birth of home computers. The name comes from the Amiga game Roketz, which I enjoyed alot when I was younger. Descent3 D3L level file loader. Static world lighting by lightmaps. Axis aligned BSP tree for collision detection and lighting. Definitively nothing fancy by todays standards... But it all came together quite nicely in the end.